Ronan Tynan, one of the Irish Tenors. 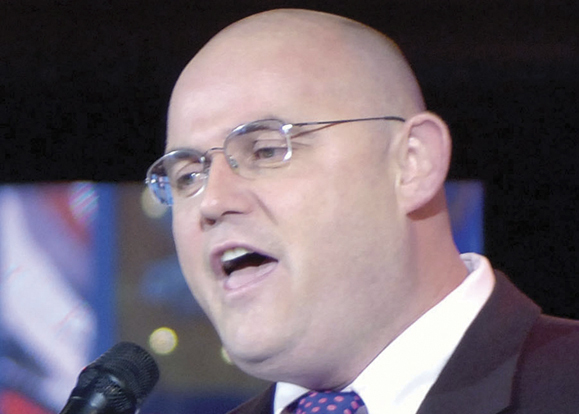 Irish Tenor Ronan Tynan sang Silent Night, as well as another song in Irish, at former President George H.W. Bush’s bedside, shortly before he passed away. “Believe it or not,” said James A. Baker III, Bush’s longtime friend and former secretary of state, “the president was mouthing the words.” Tynan also sang “Last Full Measure of Devotion” at Bush’s funeral on December 5. Tynan has overcome great odds in his own life. His twin brother tragically died from pneumonia at only eleven months old. Tynan was born with a condition that caused the underdevelopment of his legs, and when he was twenty years old he was in a car accident that resulted in the amputation of his legs below the knee. Within a year of the accident, Tynan was winning international track and field competitions, and in 1984 and 1988, he won seven medals representing Ireland in the Summer Paralympics. In 1998, Tynan joined The Irish Tenors, a project by PBS, along with other Irish singers Anthony Kearns and John McDermott. The trio is very successful, now touring twice annually.